Ahoy Gorton's Seafood Mates! As a member of the Gorton's blogger crew, I wanted to share some exciting news with you. 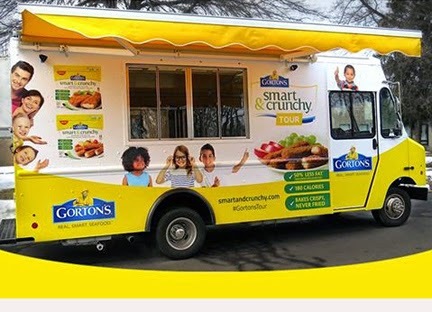 To promote the brand's new Smart & Crunchy Fish Sticks and Fillets product line, Gorton's has just launched a multi-city coast-to-coast tour that includes stops in the states of Massachusetts, Maryland, Georgia, Texas, California and Washington. The Smart & Crunchy Fish Sticks and Fillets collection are made from 100% Alaska Pollock and are not fried, so they have 50% less fat than Gorton’s regular breaded fish sticks and fillets, but have the same great taste and crunch. You and your kids are invited to visit the Smart & Crunchy Food Truck at any of the cities on the tour schedule (plus some suprise stops in between) for free product samples, valuable coupons and fun giveaways. 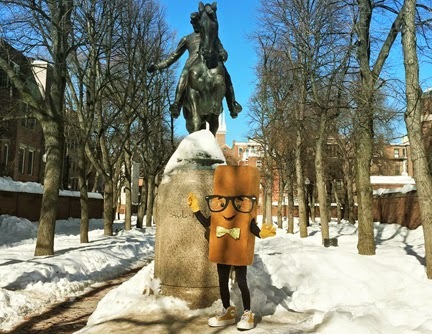 You'll also have the opportunity to meet and take photos with the newest member of the Gorton’s crew, Smarty Crunchman, a super cute eight-foot tall friendly fish stick. Don't see your area on this list? There's good news: In addition to the scheduled stops listed here, there will other stops along the Gorton's Tour at key retailers and surprise stops as the crew heads back to the East Coast. Follow Gorton's Food Truck Road Tour progress by visiting smartandcrunch.com/tour. You can also see photos from each stop and stay in the loop by following hashtag #GortonsTour along with following Gorton's on Twitter and Facebook. Gorton's is looking forward to seeing you and your own family crew while they're on the road! If you'll be joining the tour fun, Gorton's invites you to email them to let them know so can be sure to give you some extra special TLC when you arrive. 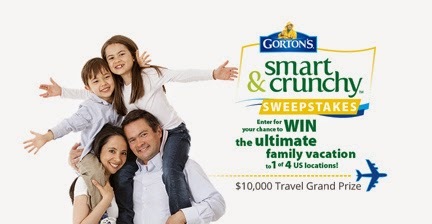 PLUS Everyone's invited to enter the Smart & Crunchy Sweepstakes for a chance to win a family vacation to one of four U.S. locations. FTC Disclosure: I disclose that I am a member of the Gorton's Seafood Blogger Crew but I did not receive payment or any other compensation in association with this particular post. Thoughts in this blogpost are my own. See complete FTC Disclosure information that appears at the bottom of MommyBlogExpert's main page and at the bottom of every individual post on this blog, including this one.